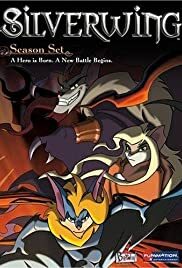 A young bat and his friends struggle to find his colony and free it from an ancient and unjust punishment. A hero is born. A new battle begins. I was wrong, well right too, cause when i first saw it, i was amazed that it caught my attention the first 10 minutes, it has a very interesting storyline, based on the book but still the TV series was a bit different from the book. But i enjoyed the show so much, i even taped it for future entertainment. I would recommend this show for all ages, perfect for little kids and even for adults.